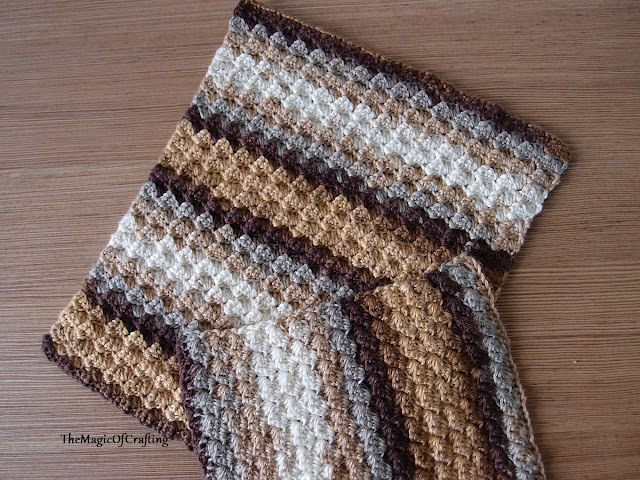 I found a little ball of multicolored bamboo yarn in my stash left from other projects and I did not know what to do with it until I started to crochet new dishcloths for my kitchen. The bamboo yarn is perfect for the kitchen - it is natural, it is considered antibacterial, it absorbs better than cotton and it is very soft. The only disadvantage is it is more expensive than cotton unless you get it on discount (like I did). So this ball of bamboo yarn is now my new very soft dishcloths and I am very happy with them both. 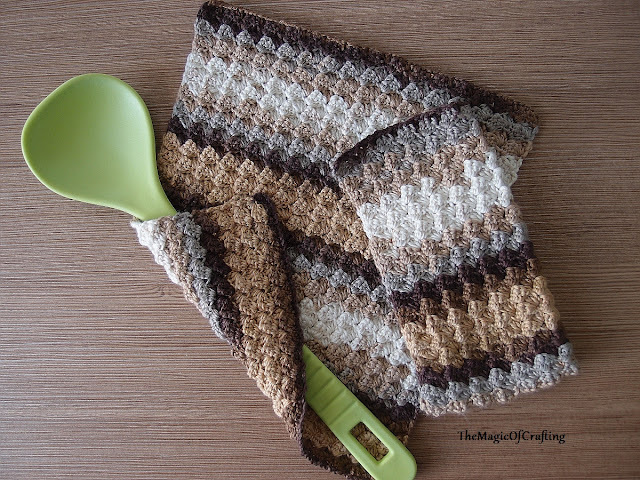 The good thing with the dishcloths is you can test any new stitches or new yarn and get something useful at the end - like kitchen dishcloths, washcloths or simply new hotpads or coasters. 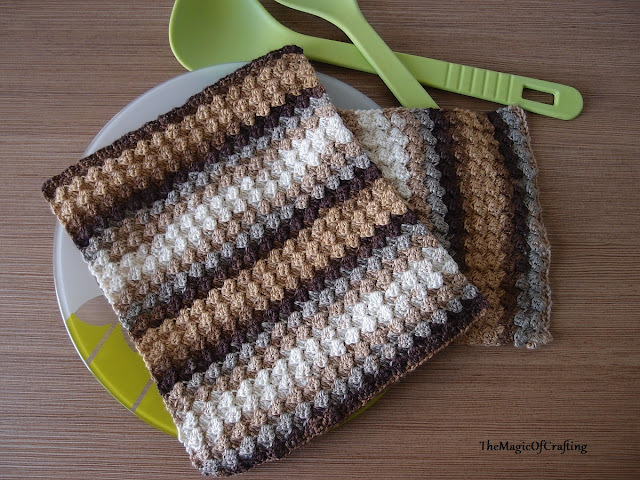 The stitch pattern used for these two dishcloths is very simple combination of basic stitches that creates amazing texture. Repeat Row 3 till you have the lenght you need. 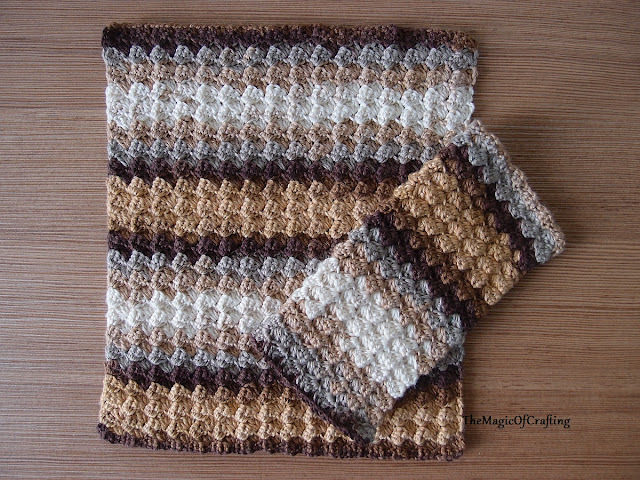 Note: For the small dishcloth the pattern is the same but with the starting chain is 54ch. How many skeins total does this take? How many gr/oz are ea. skein? The yarn was around 20gr (it was leftover from another project), one skein is 100gr. 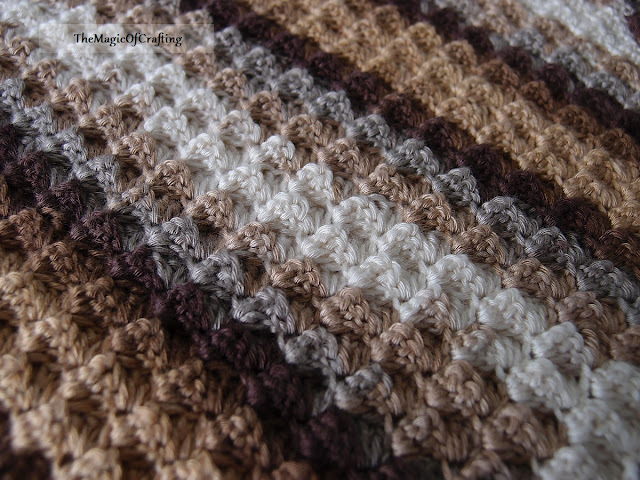 The yarn can be replaced with cotton or some cotton combination. It is just so soft with bamboo.